Today our Prideens took pride in celebrating the spirit of unity. 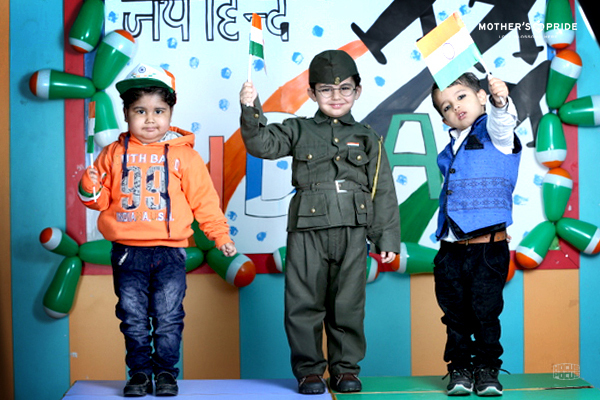 To mark the importance of the day, a grand celebration was held across all the branches of Mother’s Pride. 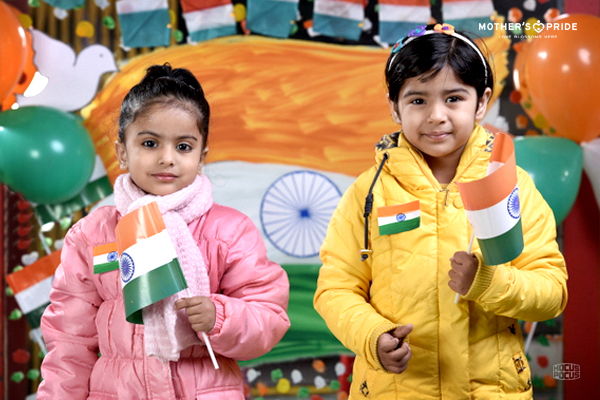 The branches echoed with patriotic songs and were decorated beautifully in the tri-colours of the Indian flag. 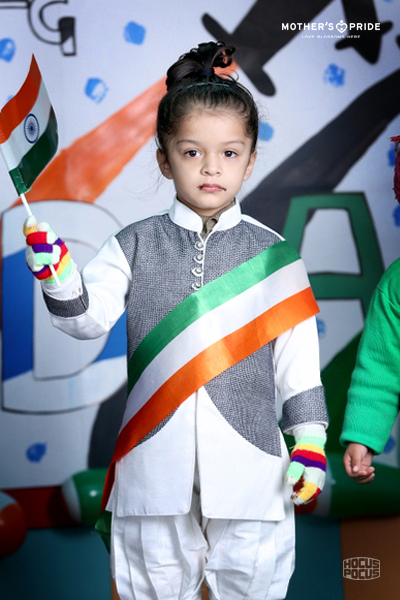 Filled with spirit of patriotism, the little ones looked adorable in colourful costumes, dressed as national heroes and freedom fighters. Teachers too were dressed in tri-coloured clothes to mark the occasion. 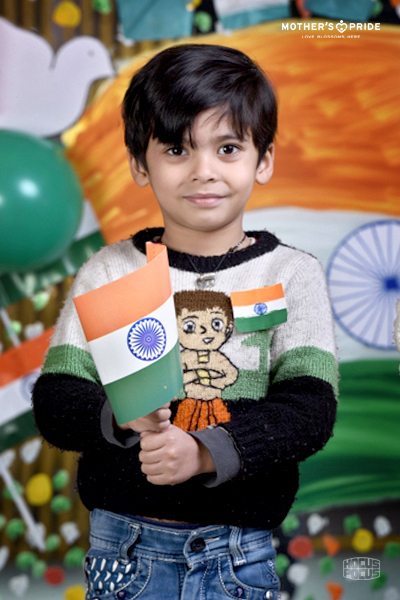 The day began with the hoisting of the Indian Flag followed by the National Anthem. 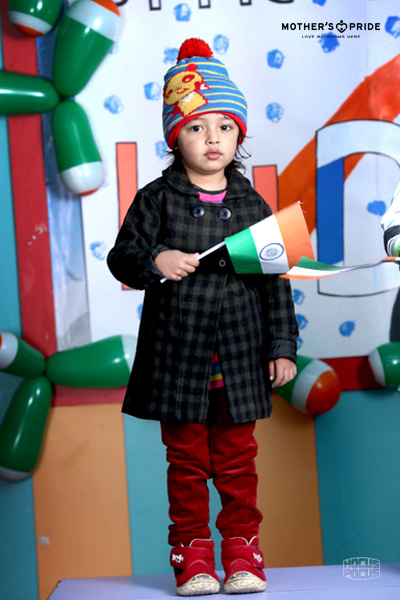 Children released tri-coloured balloons in the premises. We also organized a special assembly. Teachers explained to the children about the importance of the day. 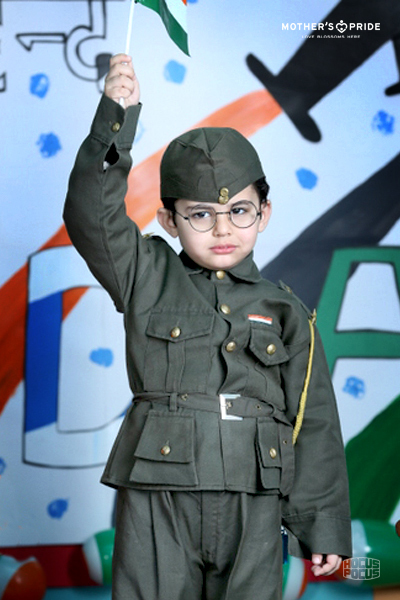 There were various group performances and speeches by our young Prideens. 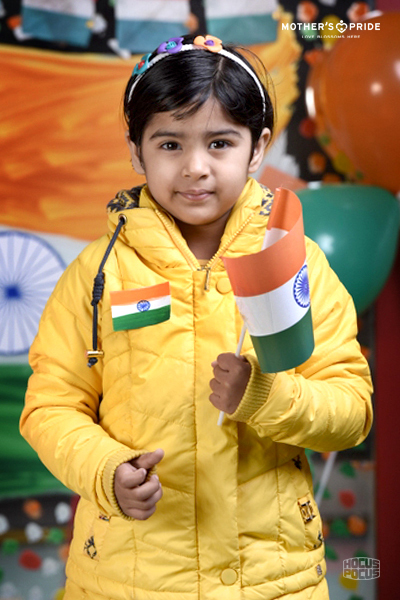 It was day to celebrate freedom and patriotism, enjoyed to the fullest.